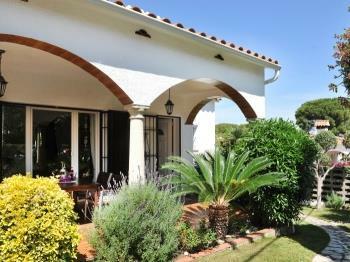 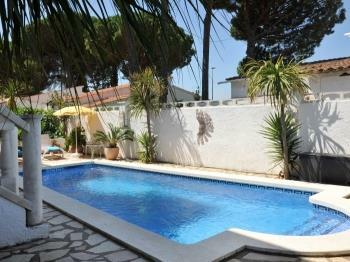 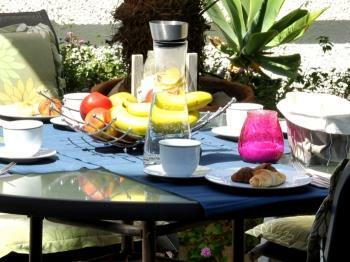 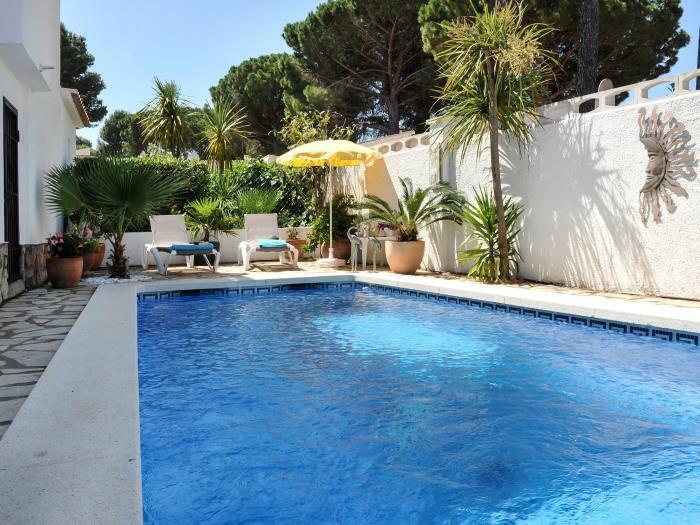 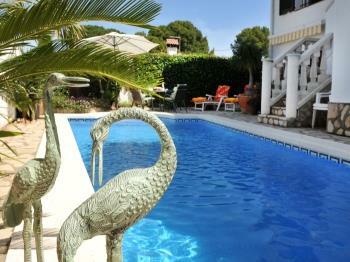 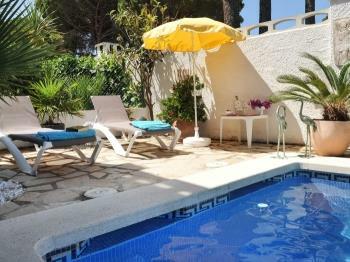 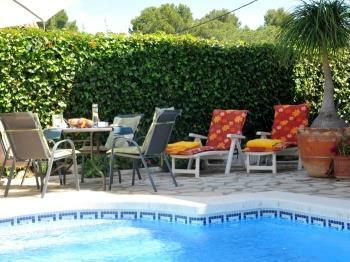 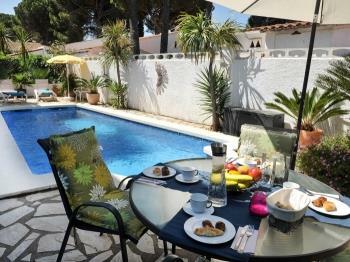 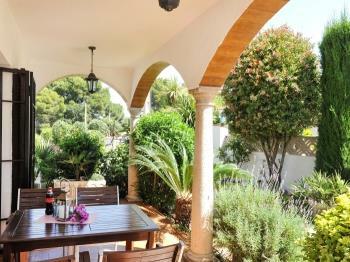 A lovely, well-kept house for rent located in the Costa Brava, between Riells and Puig Sec. 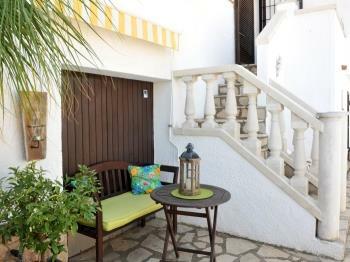 The small street is very quiet is about 500 meters from the forest and 1 km from the beach and nearest shops. 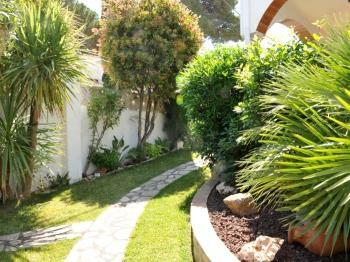 It has as well a green garden as two terraces, one at the front and one at the back of the house. 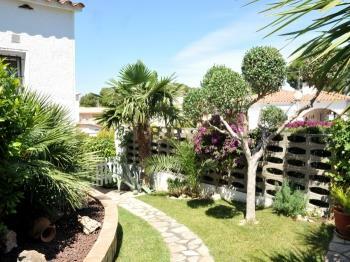 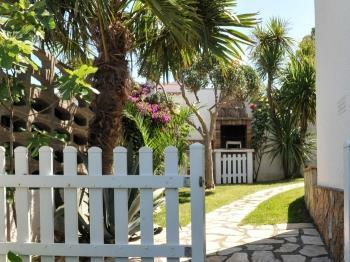 At the back you’ll also find the private pool, an area which can be closed with a small gate, ideal for families with small children. 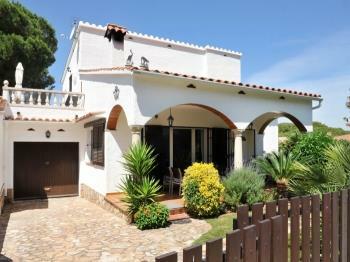 The house is on one level and comprises a living room, a separate kitchen, two bedrooms and a bathroom with bath. 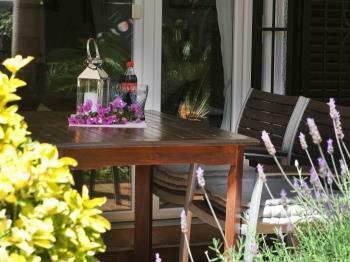 Spanish TV and satelite.